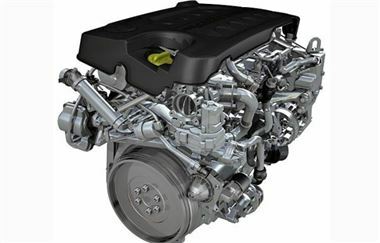 A new diesel engine, introduced initially for use in the Bravo range, has again demonstrated Fiat Group’s commitment to the production of increasingly environmentally-friendly cars. Fiat’s new 1.6 MultiJet 16v unit promises sparkling performance, outstanding torque, increased noise suppression and lower running costs for the Bravo range. The addition also makes Bravo the first car in its category to be fitted with a Euro 5-compliant engine, well ahead of the 2009 deadline. The new Bravo 1.6 MultiJet is also available with a special eco-package in 105 bhp form. In addition to revised engine ECU settings, this ‘Eco’ pack employs special measures to optimise aerodynamics, and incorporates low rolling resistance tyres and ‘taller’ gear ratios to return some outstanding fuel consumption and CO2 figures: 62.7 mpg in the combined cycle (an increase of some 5 mpg on the standard 105 bhp 1.6 MultiJet) and CO2 emissions of just 119 g/km. Fiat is currently among the top performers in Europe for having the lowest average CO2 emissions, posting 144 g/km, according to figures published by the European Federation for Transport and Environment (EFTE). 1598 cc. Two different engines are being produced: one developing 105 bhp at 4000 rpm and torque of 290 Nm (214 lb ft) at 1500 rpm; the other developing 120 bhp at 4000 rpm and torque of 300 Nm (221 lb ft) at 1500 rpm. Both engines come with a manual six-speed gearbox. These engines are boosted by either electronically-controlled fixed-geometry (105 bhp version) or variable-geometry (120 bhp version) turbochargers, to enhance power output while providing very high torque even at low revs. Compared with the current Fiat 1.9 MultiJet 120 bhp unit, the 1.6 MultiJet series represents an important step forward – with the same power, torque is improved by almost 25 per cent at 1500 rpm, and consumption is reduced by eight per cent. Another factor in the improved all-round performance is the high pressure multi-injection system, which goes from 1300 bar in the 1.9 MultiJet to 1600 bar in the 1.6 MultiJet (in both power versions). The injectors adapt to engine speed, thus optimising performance in terms of perceived power and driveability. 1.6 MultiJet 16v 105 bhp: 116mph, 0-60 11.0 secs, 57.6mpg combined, 129g/km CO2. 1.6 MultiJet 16v 105 bhp (with specific pack): 116mph, 0-60 11.0 secs, 62.7mpg combined. 119g/km CO2. 1.6 MultiJet 16v 120 bhp: 121mph, 0-60 10.2 secs, 57.6mpg combined, 129g/km C02.